Here at Baby Mattresses Online we receive many requests for custom mattresses and bespoke size mattresses. One which received this week was really amazing. 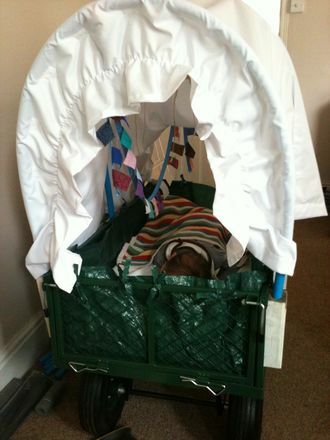 This little baby will be travelling to his first ever music festival in his very own bespoke wagon. His mum & dad ordered a made to measure mattress for his wagon and as you can see from the picture he looks very comfortable and looks the part for his outing! If you need an odd size mattress or and unusual shape of mattress just get in touch with us.